David Weisberg is a teacher, playwright, critic and fiction writer. He holds a Ph.D. in English from the CUNY Graduate Center and has taught at Hunter College in New York City, the University of Delaware, and Wesleyan University in Middletown, CT. He is the author of "Chronicles of Disorder" (SUNY Press, 2000) a groundbreaking study of Samuel Beckett’s fiction in the context of the vehement cultural and aesthetic polemics of mid-century Europe; "Altitude Sickness," a play in two acts (directed by Brad Mays, Theater 22, NYC, spring 1985); co-translator, with Regina Gelb, of Stanislaw Witkiewicz’s dramatic masterpiece "The Shoemakers" (directed by Mark Sussman, Center for the Arts Theater, Wesleyan University, Fall 2000) and "Totem and Taboo," a play in three acts (directed by Graham Smith, Central Works, Berkeley CA, winter 2016). His shorter works have appeared in The Albuquerque Alibi, The Tennessee Review, The Mississippi Review, Nepantla: Views from the South, Libido, Nerve.com and other journals. 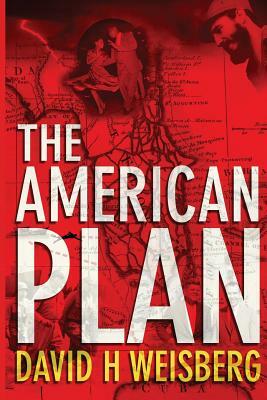 "The American Plan" (Habitus Books, forthcoming, April 2017), his debut novel, is the inaugural volume of three-novel series chronicling the rise and fall of Sun Belt America, from the Korean War through the financial debacle of 2008. He currently lives in Berkeley CA.